New Zealand celebrate their win over West Indies. 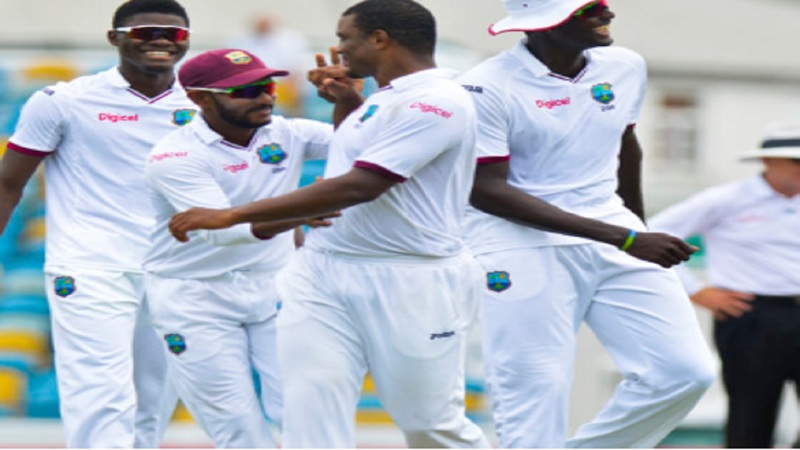 West Indies suffered a series sweep against New Zealand after a 240-run defeat in the second and final Test at Seddon Park in Hamilton on Tuesday. 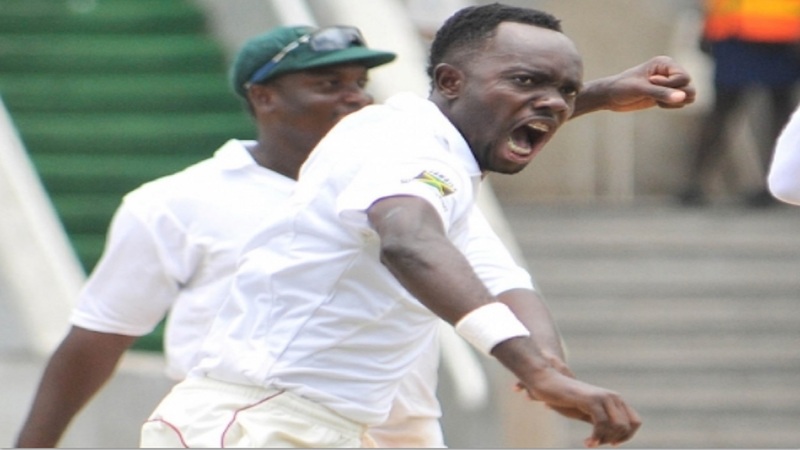 The Windies lasted a little more than two sessions as the embattled tourists were bowled out for 203 in their second innings. Mitchell Santner (2-13) took back-to-back wickets to close out the Test, West Indies falling well short of the 444 runs set for victory. Neil Wagner was the pick of the Black Caps bowlers with 3-42, while Trent Boult (2-52) – who became the second fastest New Zealand bowler to reach 200 Test wickets – and Tim Southee (2-71) made significant contributions. 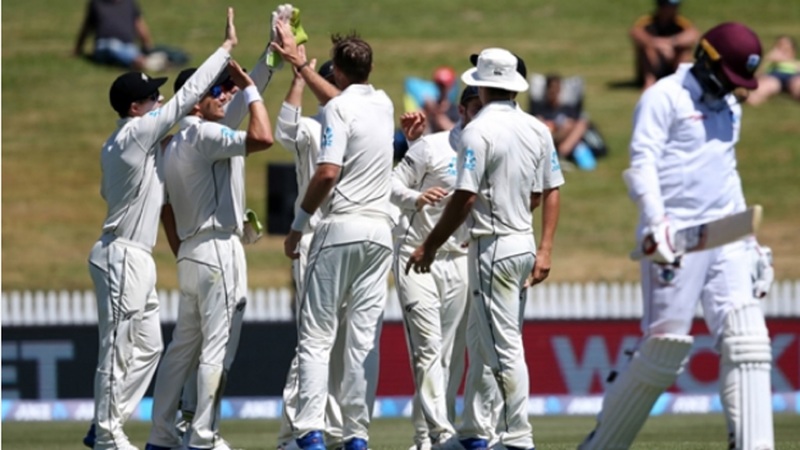 The Windies – crushed by an innings and 67 runs in the series opener in Wellington – returned to the crease at 30-2 on the penultimate day, after New Zealand declared on 291-8 late on Monday – a mammoth lead of 443 – thanks to Ross Taylor's record-equalling 17th Test century. It was a matter of when and not if for New Zealand, who claimed the prized scalp of opener and stand-in captain Kraigg Brathwaite for 20 early on Tuesday. From that point it was the Wagner show – the star of the first Test producing a barrage of bouncers to leave the Windies reeling and in discomfort. After sending Shai Hope (21) back to the pavilion, Wagner than struck Sunil Ambris (5) on the wrist and while the Windies batsman remained on the field, he latter retired hurt and went to hospital, where he was diagnosed with a fracture. With West Indies 80-4 after Ambris left the crease, Shane Dowrich (0) followed his team-mate off the ground two balls later when he played a Wagner delivery to Henry Nicholls at short-leg. Roston Chase (64) and Raymon Reifer (29) managed to steady the ship, putting on 78 runs before the former became Wagner's third victim of the day after lunch. Reifer was the next to depart five overs later, spelling the end for West Indies as Santner cleaned up Kemar Roach (32) and Miguel Cummins (9). Final scores in match: New Zealand 373 & 291-8; West Indies 221 & 203.